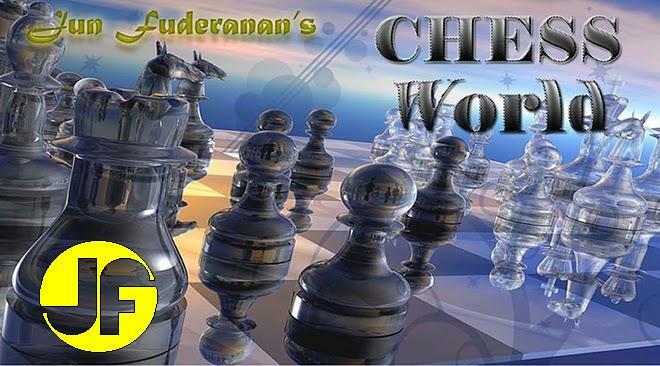 This post features one of the most famous short games of all time, played by two players of undoubted GM strength. The standard play is 5. Nxf6+, etc. Black can recapture with either pawn. Wrong. Black breaks prematurely in the center. The best line for Black was clearly: 5...Nbd7!, 6.Bd2 Nxe4, 7.Qxe4 Nf6, 8.Qd3 Bg4! ?, 9.f3 Be6, 10.0-0-0 (10.Ne2!? Qd7, 11.0-0-0 0-0-0, 12.Kb1 ) 10...Qd6, 11.Kb1 0-0-0, etc. Setting an incredibly deep trap. If 7.Nc3!? Qxe5+, 8.Qe3 Bd6. Black takes the bait. Let us forgive the great Tartakower this small indiscretion, for the trap was very unusual. If 8. .... Qxe4? 9. Re1 and White wins the Queen. Black resigns. If 10. .... Kc7, 11. Bd8 mate. Or 10. .... Ke8, 11. Rd8 mate. One of the prettiest and most famous of all miniature games. 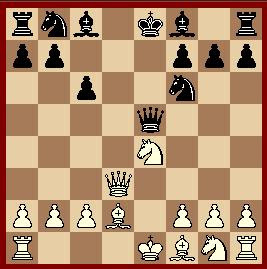 It was said that Reti played this very quickly, and it might have been a prepared trap. Even if that was true, it makes the moves no less beautiful. To view the game in PGN format, you may visit Reti vs. Tartakower.